The werewolves know that they are fighting an enemy that is mighty and implacable. 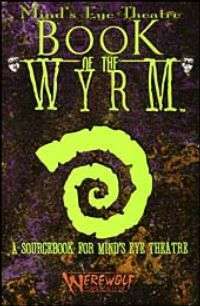 The Wyrm reaches out everywhere, from corporate America where Pentex and its subsidiaries are ensconced to the werewolves' lost kin, the Black Spiral Dancers to the terrible spirits called Banes. The Garou fight desparately with every weapon they can, and they must not lose. They have stared into the Abyss, and it staring back hungrily.